Weidmuller introduces a new portfolio of selected energy monitoring components for energy consumption measurement, monitoring and integrated quality analysis of electrical supply networks. Designed for production facilities both large and small. 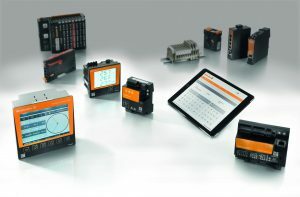 Weidmuller’s modular and scalable solution provides energy monitoring at all levels from the grid connection to production lines and machines, down to the individual machine modules. The product portfolio includes the Energy Logger D550, Energy Analysers Series and the Energy Meters Series, all fully integrated with Weidmuller’s ecoExplorer software for visualization, analysis, and remote access and operation. Weidmuller’s Energy Analysers provide comprehensive power quality measurements down to the machine level. This includes measurements of consumption, harmonics, frequencies and short-term 230VAC supply interruptions. As well as recording and storing transient data, all with a single 24VDC powered device. The Energy Analysers have PLC functionality for comprehensive programming, and up to 256MB of integrated flash memory for data storage. © 2019 Voltex. Portal powered by Specifile®.